Last week the Monday blog was entitled, “Greatest Opportunity in Firearms Training History” and I unveiled a 40 hour Four Day Defensive Handgun for only $69. If you have not taken advantage of it and grabbed courses for everyone you know, then you need to do it now because the offer is almost sold out. This week, I want to show you a real life example of WHY Front Sight’s mission is to arm and train every responsible American to levels that exceed law enforcement and military standards, thus positively changing the image of gun ownership in our lifetimes and protecting the Second Amendment for generations to come. 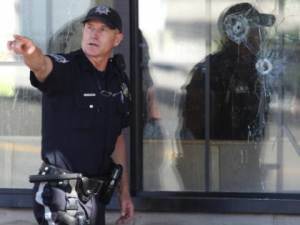 CARSON CITY, Nev. (CBS/AP) – A gunman wielding an AK-47 opened fire on a table of uniformed National Guard members at an IHOP restaurant on Tuesday in an outburst of violence that killed five people, wounded seven others and put Nevada’s capital city on high alert. Five Nevada National Guard troops sitting together at the back of the restaurant were shot–three of them fatally. Another woman was also killed, and the gunman, 32-year-old Eduardo Sencion of Carson City, shot himself in the head and died at a hospital. The shooter’s motive was unclear, but family members said he had mental issues. He had never been in the military and had no known affiliation with anyone inside the restaurant. Witnesses and authorities described a frantic scene in the bustling business district, in which the shooter pulled into the large complex of retail stores and shops just before 9 a.m. in a blue minivan with a yellow “Support Our Troops” sticker on the back. He got out and immediately shot a woman near a motorcycle, a witness said. Another Guard member, 33-year-old Spc. Lee Amato, said he didn’t know the victims’ names but expected they were people he knew. The IHOP is about four miles from the Guard’s headquarters complex. Nevada National Guard spokeswoman April Conway said she didn’t know why the five Guard members had met at the IHOP. Conway said she did not believe any of the Guard members at the restaurant were armed. Furlong said they’re analyzing the shooter’s weapon to determine whether it is automatic or semi-automatic. Nevada’s capital city of some 50,000 is normally a sleepy town when lawmakers are not in session, a jumping off point 30 miles south of Reno for travelers headed to Lake Tahoe or back to California across the Sierra. Another tragic shooting, but it should have ended immediately after the first shot was fired by the deranged gunman. Why? Because this is Carson City, NV where citizens are allowed to carry concealed weapons and the shooting took place near a National Guard Headquarter with National Guardsman inside the IHOP. If you have a concealed weapon permit, then make sure you carry it with you ALL THE TIME. If you don’t have a concealed weapon permit, yet live in a state that offers them, then get one, and get trained, and carry it with you ALL THE TIME. Note the M16s they are carrying and 30-round magazines on their belt. Do you think the IHOP would have been targeted if these were the National Guardsman? 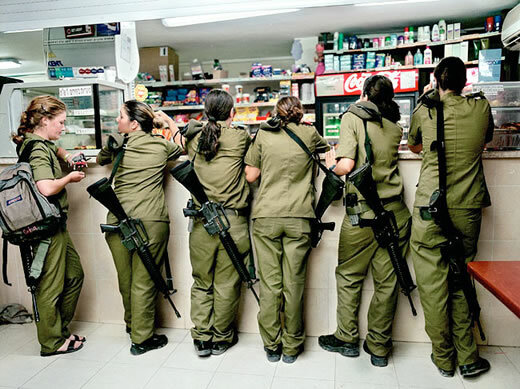 Like Israel, we need to allow the men and women we trust to risk their lives in defending us at home and abroad to be ARMED everywhere they go. If we feel they are worthy enough to trust with a weapon in war, aren’t they worthy enough to be trusted with a weapon in peace time? And my comment for Ralph Swagler is also directed at everyone who owns a gun– and especially pointed at everyone who not only owns a gun, but carries a gun. Just having a gun is not enough! You need to be trained to levels that exceed law enforcement and military standards. Training that places you in live-fire training simulators to give you the lethal encounter experience you need– ahead of time, so when the time comes that you are in a position to use that gun to defend yourself and those around you, you are mentally and physically ready, willing, and able to use it– and use it well. This is not a game or a business to us. We live our mission and purpose every day. Take advantage of what we offer and join us. We have trained hundreds of thousands of responsible Americans to understand what we understand, and we continue to train thousands more citizens every month. Unfortunately, not one of them was in or around the IHOP or the outcome would have been much different. As we continue to grow, it is just a matter of time and opportunity before Front Sight armed and trained citizens are everywhere! See my “Greatest Opportunity in the History of Firearms Training” below and take advantage of it before it is sold out. I know the title of this week’s blog, “Greatest Opportunity in Firearms Training History” are pretty bold words, but I believe when you read this entire blog you will agree that NOTHING in the history of firearms training has ever come close to matching what I am about to offer you. I’m extremely happy to provide this amazing, unbelievable and unprecedented offer to you because it once again proves beyond a shadow of a doubt that the Front Sight Organization is more than just a commercial entity in the business of firearms training. We live our stated purpose to positively change the image of gun ownership in our lifetimes by training responsible Americans to levels of firearms expertise that exceed law enforcement and military standards. As those who have watched us grow from 10 students in our first, Two Day Defensive Handgun course way back in April of 1996 to now training THOUSANDS of citizens each and every month will attest, Front Sight lives and breathes our stated purpose and we have proven it over and over again with all the amazing offers we have provided in the last 15 years. THIS offer is truly the greatest training opportunity I have ever provided and is the greatest single step to date toward positively changing the image of gun ownership in our lifetimes, because it makes Front Sight’s training available to anyone who wants it. Yes, this amazing offer can be yours and can also be available for every member of your family and all your friends, but you must respond immediately to take advantage of it. You only have one shot at this. I will be watching the response very closely. Because this is such an unbelievable offer I expect it will go viral throughout the firearms community and get millions of views. Those who want the very best in firearms training for themselves, their family and friends will immediately respond to take advantage of it and be very glad they did. As this happens, and the total number of fortunate individuals who act immediately matches the number of offers I have set aside, I will close out the offer by removing this link and shutting down the registration page. So do not hesitate or procrastinate because this offer can close out at any time. You will be asking yourself, “WHY is Dr. Piazza doing this?” I tried to explain WHY Front sight does what it does in numerous e-mails over the years. So once again I will tell you that Front Sight is doing this simply to make our training more accessible to you, your family and friends so we can positively change the image of gun ownership and restore the Second Amendment in our lifetimes. Get on board with us. Get yourself trained. Get your family trained and be part of the thousands who leave Front Sight every month positively changed with the Comfort of Skill at Arms and go back to their respective communities across the country, as walking, talking representatives of what gun ownership and the Second Amendment is all about. Be a part of Front Sight’s amazing growth and impact. I want YOU to be a part of our organization and I am making it irresistible for you to do so. You will be asking yourself “HOW can Dr. Piazza do this?” I’ve been nicknamed the “Millionaire Patriot” by the hundreds of thousands of students Front Sight has trained over the years because I have provided tens of millions of dollars in free and discounted training so that good people– responsible Americans– can have a level of skill at arms that exceeds that of our own military and law enforcement communities. I believe to my core that the armed and expertly trained citizen is the backbone of our country. I can make this offer because we have the facility to do so and each and every member of the Front Sight Organization feels the same way I do about the importance of training you and your family. We also know that once you experience the professionalism of Front Sight’s stellar staff, the outstanding curriculum, and the compassionate and caring manner in which we treat you and your family, you will want to return for all of our courses. We look at you as a lifetime student and therefore can provide an amazing, unbelievable and unprecedented training opportunity to you upfront, knowing that your lifetime of participation with us will return the goodwill ten fold. For 15 years Front Sight has operated in this manner and we have doubled every year, so we know that our goodwill toward you will come back ten fold to us. What I am offering you is NOT a training manual or a training DVD or an on-line virtual training experience. What I am offering you is Front Sight’s world famous, supervised, intensive, expertly delivered, hands-on firearms training experience over four positively life-changing days! It is EXACTLY the same outstanding training, on the same outstanding facilities, with the same outstanding staff as the training we have provided every weekend to hundreds of thousands of people over the last 15 years. So when you read the amazing, unbelievable, and unprecedented offer below, DO NOT make the mistake of hesitating or procrastinating because it sounds too good to be true or you will be kicking yourself forever when your friends (who did not hesitate to take advantage of it) come home and tell you what you missed. This is real, live, hands-on firearms training over four days that will leave you with gun handling, marksmanship and tactical skills that exceed law enforcement and military standards without any boot camp mentality or drill instructor attitudes, SO RESPOND IMMEDIATELY! If you respond immediately, you can attend Front Sight’s Four Day Defensive Handgun Course and over four full days of expertly delivered live-fire range drills, live-fire tactical simulators, and extremely interesting, educational and thought-provoking lectures, leave with a level of Skill at Arms with the handgun that far exceeds law enforcement and military standards. This Four Day Defensive Handgun Course is the same course that normally sells for $2,000. This Four Day Defensive Handgun Course is the same course that starts at 7:30am each day and ends after 5:30pm each day for 40 hours of expertly supervised, hands-on firearms training that is GREAT for the entire family! This Four Day Defensive Handgun Course is the same course that hundreds of thousands of our students rave about and return to Front Sight regularly to attend again, bringing family and friends with them. This Four Day Defensive Handgun Course is the same course that Marine Corps officers and SWAT officers (paying their own money) attend to receive a level of training they cannot get in their own departments. This Four Day Defensive Handgun Course is the same course that is perfect for the entire family because of the caring and compassionate manner in which you are treated by Front Sight’s stellar staff. This Four Day Defensive Handgun Course is for YOU and every member of your family and all your friends IF YOU RESPOND IMMEDIATELY. So what is this $2,000 Four Day Defensive Handgun Course that provides you with over 40 hours of intensive, expertly delivered and supervised training by Front Sight’s stellar staff on Front Sight’s world class facilities, in a caring and compassionate manner, that is great for the entire family going to cost you? Only $69. I will spell it out so you know it is not a typo… Sixty nine dollars. Tell me, where else in the firearms training industry have you ever seen ANYONE offer the masses 40 hours of intensified, hands-on, expertly delivered and supervised handgun training by the best firearms training instructors in the industry on arguably the best training facilities in the industry, provided in a compassionate and caring manner that is perfect for every member of the family? And once you secure your course, it has no expiration date, so you attend it when convenient for you in the future. The only restriction is you must attend the course mid-week, Monday through Thursday. There is great benefit to attending mid week with hotels having lower rates, flights having lower fares and rental cars being more accessible with lower costs. So what’s the catch? Honestly there is no catch. I have done my best to try to explain Front Sight’s Purpose and the WHY and HOW of this offer. The fact that we can now offer mid-week courses doubles the training opportunities for our lifetime members and those students who have certificates to attend our courses–and gives you the training opportunity of a lifetime. Simply click on this link and it will take you to the registration page where you register, set up your Front Sight account and pay $69 to secure a mid-week, Monday through Thursday, Four Day Defensive Handgun Course. Upon completing the registration process, you will receive an immediate receipt and confirmation number indicating you have a mid-week, Monday through Thursday, Four Day Defensive Handgun Course on file under your account name with Front Sight. At any time in the future simply go to our website and use the on-line Course Application process to select the mid-week course date you wish and we will place you in your course and e-mail you your course enrollment confirmation letter. We now have mid-week, Monday through Thursday, Four Day Defensive Handgun courses on our schedule in September,. October, November and December. Our 2012 schedule will be posted on the website in October and we will have even more mid-week course dates throughout 2012. So click on this link to secure YOUR mid-week, Monday through Thursday, 40 hour, Four Day Defensive Handgun Course for only $69. OK, Here are Answers to Frequently Asked Questions, but don’t wait too long because this offer will sell out quickly and the page will be taken down immediately. Q. Can I purchase more than one of these mid-week, Monday through Thursday, Four Day Defensive Handgun Courses? Q. If I purchase the mid-week, Monday through Thursday, Four Day Defensive Handgun Course can I use it at any time in the future? A. Yes, there is no expiration date on the course once you purchase it. Q. Is this mid-week, Monday through Thursday, Four Day Defensive Handgun Course for $69 EXACTLY the same as the Four Day Defensive Handgun Course listed on your website and brochure for $2,000? Q. Can I trade in other offers I have purchased towards this one? A. No, this is a stand-alone offer. Q. What are the hours of the Four Day Course? A. It starts at 7:30am each day and ends after 5:30pm each day for 40 hours of expertly supervised hands-on firearms training that is GREAT for the entire family! A. Yes, as long as you register for your selected course at least two weeks before the course date, you will be guaranteed a spot in the course. A. After you purchase your course you will receive an immediate on-line receipt for your purchase and we will place a mid-week, Monday through Thursday, Four Day Defensive Handgun Course on file under your account name. You can then return to the on-line application page at any time and enroll in a mid week, Monday through Thursday, Four Day Defensive Handgun Course and we will place you in the course. A. Yes, once you complete the on-line Application for Instruction at least two weeks before the course date you select, we will e-mail you a Confirmation Letter. A. Everything you need to know to prepare for the course. See the Confirmation Letter in the Frequently Asked Questions for a copy of the standard confirmation letter we send. A. On our world-class 550-acre firearms training facility near Las Vegas, Nevada. A. You can bring your own gun, or you can rent everything you need for the Four Day Handgun Course through our pro shop. A. There is no catch. I know that once you attend a mid-week, Monday through Thursday, Four Day Defensive Handgun Course, you will want to attend everything we offer AND will also tell everyone you know to come to Front Sight. So you will then be helping me positively change the image of gun ownership in our lifetimes even faster by spreading the good word about Front Sight. A. There is nothing else to know about the offer. Just take advantage of it. For any other questions that I did not answer here, PLEASE go to Front Sight’s Frequently Asked Questions to get answers to most if not all your questions. So Don’t Wait Any Longer. This Offer Will Be Gone and THIS LINK will be Deactivated as Soon as the Last Confirmation Receipt is Taken. I look forward to Front Sight providing you and your entire family with the Comfort of Skill at Arms! Entry Filed under: Dr. Ignatius Piazza,Front Sight,Gun Training,Handgun Training,Monday Blog Posts,Newsletter.